I have a nephew that is turning the big 10 in a few weeks. As he gets older it is becoming harder to shop for him. Why? Because I can’t buy him a remote control car and call it a day. I also want to buy him presents that will benefit him. One thing I will be giving him this year is Axe Body care products. When kids start to hit puberty they need different hygiene products than when they were toddlers. 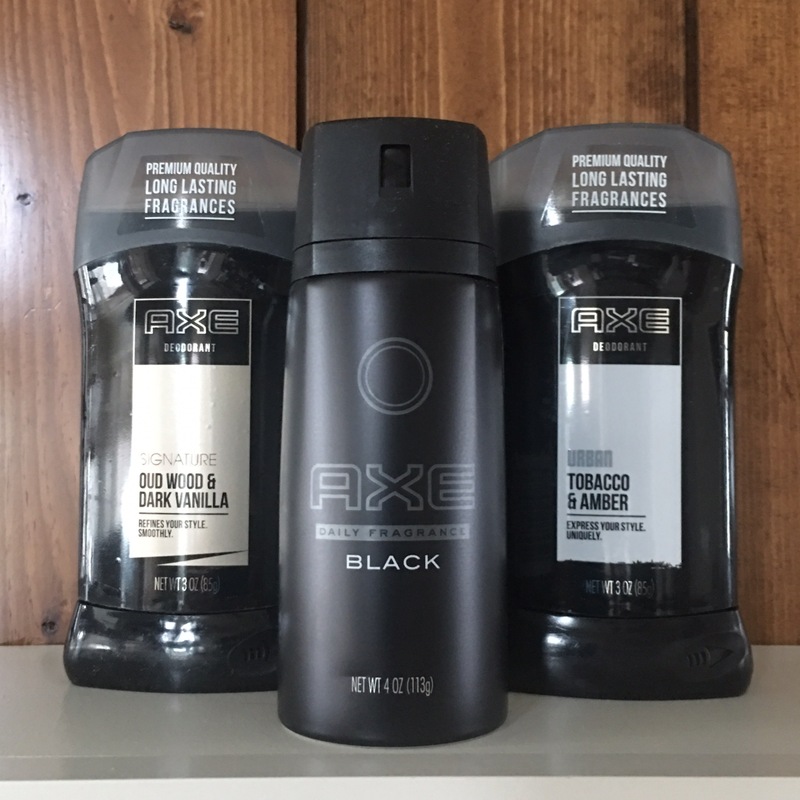 AXE has several lines of body care products that the boys and dads can use. AXE is also expanding their line and fragrance options. It’s more than body spray. Now they have a huge line of antiperspirants and deodorants. You are sure to find one you like. Antiperspirants control both body odor and sweat. They prevent sweat from reaching the surface of the skin and use antimicrobial ingredients to eliminate body odor-causing bacteria. Deodorants only contain antimicrobial agents, which are responsible for preventing body odor, and they do not control the flow of sweat. So it really depends on you. How much do you sweat? Or in my case, how much does my nephew sweat?? There are so many options to choose from. I let my nephew try out a few to see which ones were his favorite. Hands down – Island. Island was his favorite. It smelled a little tropical. Then Night, Air and Forest were his other favorites. 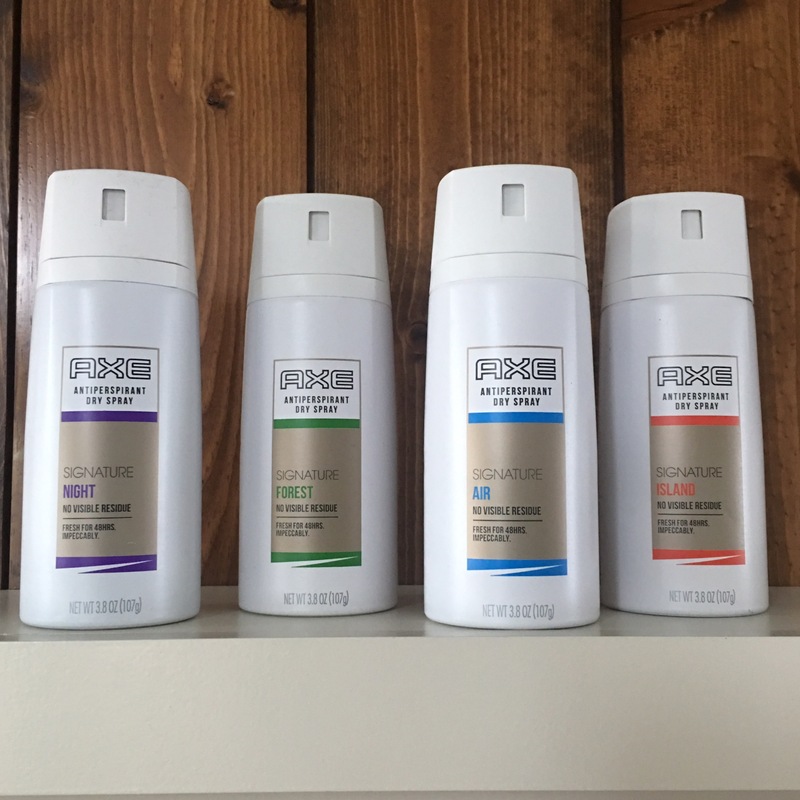 What’s nice about the Axe body products line is the variety of fragrances. My 10-year-old nephew can find a fragrance he likes and his father can find one he likes. There is so much variety. Plus, the products come in a variety of applications. You can have spray or solid. I also appreciate how available they are. Nearly any store you go into that sells personal hygiene products is going to have AXE. If you are looking for a gift idea or stocking stuffer idea look at AXE Body Products. They are a great present for any pre-teen, teenager or man in your life.